Bernie Sanders in his own words told his supporters that his campaign is about revolution--not about his election. He drew large crowds of young people, because they are progressives who have been either in touch with other parts of the world through travel, the internet, or educated to be acutely aware that the United States does not have universal health care. They are aware that other countries do not continually wage resource thieving wars of empire, and that those same countries use that saved money to educate their own people for free, even provide free housing, or build infrastructure. He excited groups of people who had given up hope, and felt that they could never vote for a candidate who reflect their beliefs. Let us not give up that excitement. Bernie said he would be a Democrat forever and did not want to be a spoiler. When the convention is over in July, he will support Hillary. His millions of excited progressive followers will feel cut off. Let's channel our excitement for change into another party whose values are similar to our own. Let's work hard to build them up, and get them voted into office. Sure, we might have an adjustment period, because now we must step forward like Bernie asked us to and protest for change, run for office, or become an activist. Many want to write in Bernie's name, but many states do not allow this. Check out the values of the Green Party, and see if what you believe is similar. Check out this web page to see which candidate you have most in common with www.isidewith.com. You can also go to the Green Party platform page here www.gp.org/platform. The revolution continues in the Green Party. 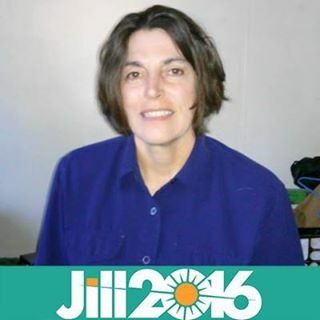 Let's get Jill Stein on the ballot. If you do not know how to do that, go to www.jill2016.com. I am a part-time writer, full time nursing student who is very interested in the climate change, women's rights, endless war, social justice, and emerging third parties.